It’s officially Christmas time - YAY!! Bring on the Christmas lights, Christmas songs, Christmas cookies, Christmas movies, Christmas jammies… we could go on and on. It’s hands down our favorite time of the year. We get to spend quality time with our loved ones (and our pup! ), rest, eat a lot, and anticipate the new year. Oh, and we get to give GIFTS! Now, we pride ourselves on being good gift-givers. It’s both of our love-languages. Bobby’s more of a crafter (it’s true) - he loves making personalized mugs, tee-shirts, anything paper maché, the list goes on. (And I don’t want to embarass him too much.) I (Alli) am not a crafter - but I am thoughtful. Depending on the person, I like to find gifts that not only fit their likes and style, but that are also unique and special. Some people are harder to shop for than others (DAD! ), but it gives me great joy to try. 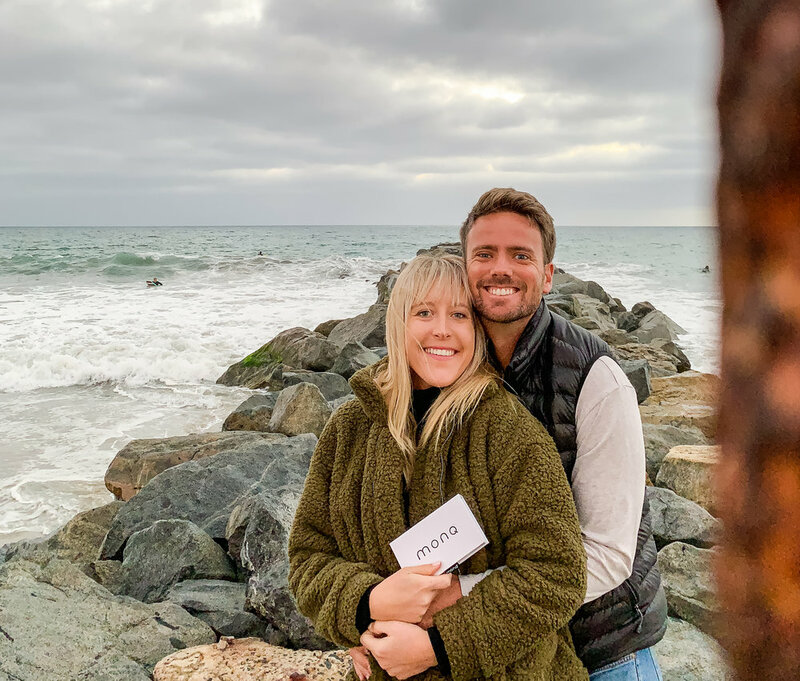 This year we’ve compiled some of our favorite gifts - most of which are travel related, and others that we just genuinely love (Sally too!). We’re convinced you’ll find something for everyone on here - and you can trust that they have all been tested and approved by yours truly... Here we go! Hook & Albert Leather Weekender Bag: Do yourself a favor and watch this 40 second YouTube video on this game-changing piece of luggage. When the bag is deconstructed, there is a garment bag portion that you can store your pressed suit in. And then there are side pockets for your shoes. Zip the bag back together and you still have a roomy duffel for all of your other essentials. It’s durable with high quality leather and zippers that will only get better with age. 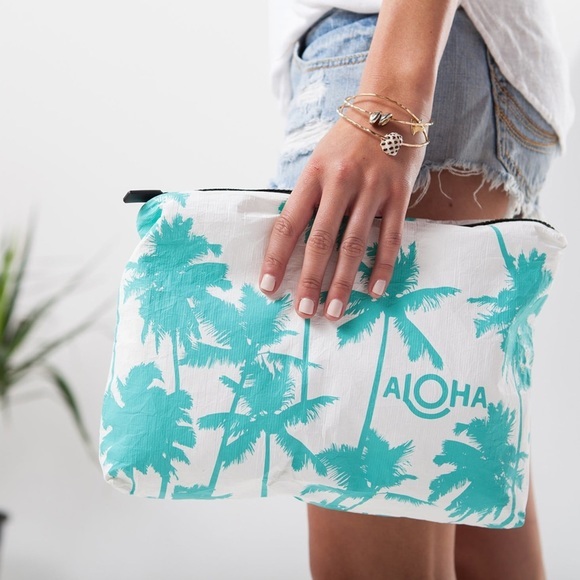 Aloha Travel Bags: These little waterproof travel bags have changed the way we pack. We use them for our toiletries, swimsuits, active wear, you name it! (Alli will even use them as a clutch from time to time.) It’s a fun and sleek way to take your suitcase organization to the next level. American Tourister Moonlight Spinner: We’ve been using American Tourister luggage for a few years now, and it’s our favorite. 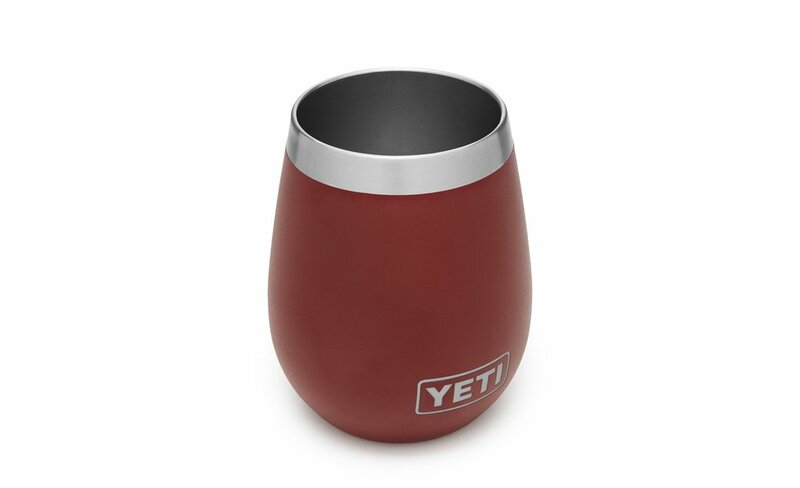 Lightweight, durable, and extremely affordable. Plus they’re good looking, too! Bobby’s Nano Puff Jacket: You probably already have a Patagonia jacket, or a version of it. But if you don’t, WHAT ARE YOU DOING?! The hype is real, folks. They’re lightweight, easy to pack, and incredibly warm, and beyond durable. You’ll live in it - just like Bobby lives in his. Join the cult. Master Dynamic Headphones: There are a few travel items we’ll splurge on - good headphones are one of them. These not only look cool, they’re extremely high quality. We get compliments on them everywhere we go! The MW60’s are insanely comfortable and high quality (but pricey), while the MW50’s bring the same amazing sound quality, are a little more affordable, and can be either on-ear or over-ear (they have interchangeable earpieces). Fuji X-T2 or Fuji X-E3: Have you gone mirrorless yet? We’re big fans of the Fuji system, and currently use these two cameras on all of our trips. Both the camera body and many lenses are built well and are weather proof, so they can endure a variety of conditions. The X-T2 is the higher end model of the two, and they are both excellent cameras for travel! 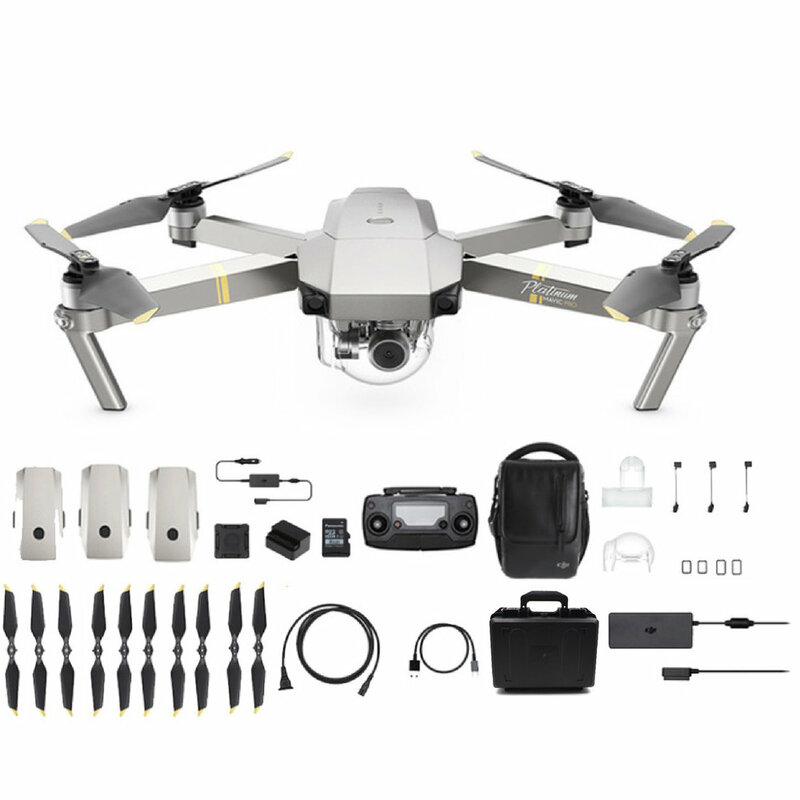 DJI Mavic Pro Platinum with Fly More Package: Bobby’s favorite drone, and what we like to refer to as the fourth member of our family (after Sally, our dog). If you’ve been researching drones, you’ll know that DJI makes the best of the best - and this one is no exception. If you’re serious about capturing incredible aerial photo/video, get yourself a Mavic. Extremely portable, great flight time, and amazing image quality! Lowepro Fastpack BP 150 AW II: Bobby bought this backpack off Craigslist nearly 4 years ago (an older version, but it looks nearly identical), and has since purchased 2 other backpacks. While he’s gotten rid of the 2 newer bags, the Lowepro continues to be everything he needs. Plenty of storage for 2 cameras, 2 lenses, a 15 inch laptop, magazines, headphones, and all the other essential carry-on items. Priority Pass: They have lounges in nearly every airport. Especially when you’re flying internationally, it’s a game-changer. If you know a frequent traveler that does not have Priority Pass - this is the PERFECT gift for them! Movi Freefly Cinema Robot Smartphone Stabilizer: This smartphone stabilizer gives us the ability to film cinema-worthy video - on our iPhones!! Whether you’re shooting for Instagram, Youtube, or just for your personal enjoyment - your shots will be stable and smooth… and you’ll probably consider enrolling in film school shortly after. Polarpro FiftyFifty Lens for GoPro: One of our favorite tools… the PolarPro FiftyFity lets you capture epic split level shots, like this one below of Alli and Sally in the pool. The optical dome pushes water away from the GoPro lens allowing it to capture both over and under the surface. Get one! MONQ Portable Essential Oil Diffuser: Portable essential oil diffusers… how cool is that?! They come in a variety of blends - some of our favorites being Forest, Zen, and Pumpkin Spice. They make a perfect stocking stuffer! Sun Bum Sunscreen: No matter where we go, we always have sunscreen and chapstick close at hand. And it’s always Sun Bum. (You might say we’re sunscreen snobs.) They make Alli’s favorite dry shampoo, too! Winc Wine: We just recently discovered Winc wines and can’t believe more people don’t do this. It’s the only wine club we’re a part of, and in our opinion, it’s the best. Winc delivers 4 bottles of wine (you can choose or leave it to the experts - they make hundreds of wines) to your door every month (with NO SHIPPING FEES), and it doesn’t cost anything to be a member. Wines start at $13, so they’re super affordable and the branding is on point (very important). Oh - and the wine is insanely good. Sorry Trader Joes wines, we’ve happily moved on. Minted Holiday Cards: Christmas cards are a big thing over here. Just choosing the photo (or the compilation of photos) can be stress-inducing. Thankfully with Minted, that’s the only stressful part! They make the whole process SO incredibly easy, and their quality and design are unmatched. They’re also some of the most affordable options we’ve seen - so it’s truly a win/win! Daily Harvest: We make sure we eat as many fruits and veggies as we can while we’re traveling, and while we’re at home. Daily Harvest has become a huge part of our morning routine, as their smoothies are packed with healthy ingredients, are easy to make, and are incredibly filling. It’s super cost-effective too! 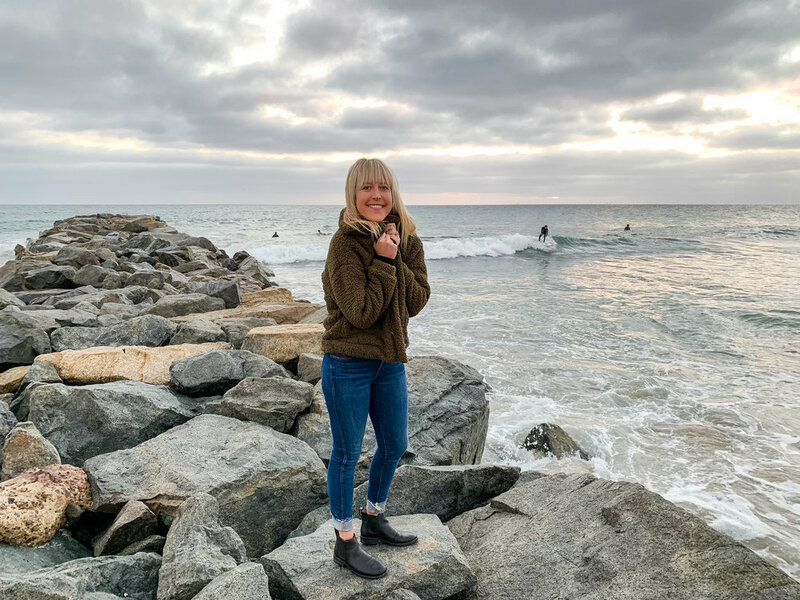 31 Bits: Alli helped found this company over ten years ago, and so obviously we HAD to include it! 31 Bits employs artisans in Uganda and Bali that make incredible jewelry, bags, home goods, and more. The cause, the style, the heart - it’s our go-to for gift giving, and this year is no exception. If you’ve been eyeing the mirror above our couch, get it fast. There’s only a few left! Burrow: Speaking of our couch, we love it. We did a TON of research on couches (it’s an investment!!) and everything we read and reviewed brought us back to Burrow. Their couches are affordable, stylish, and high quality. Plus they have a phone charger built in… YES PLEASE! Caséta by Lutron: We’ve been talking a lot about Lutron lately, and for good reason. 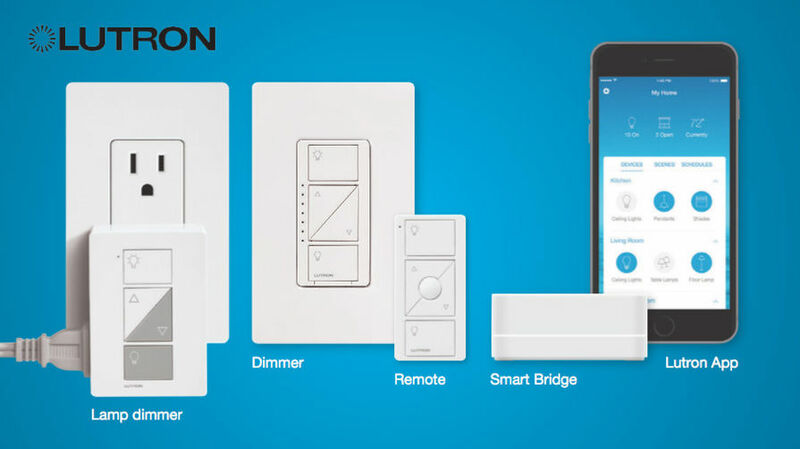 Caséta by Lutron keeps our home secure through a feature they have called “Smart Away”. It randomly turns our lights on and off when we’re not at home, making our house appear lived-in - even when we’re across the globe! Plus - we control it all with an app on our phone. It’s amazing. iRobot Roomba 980﻿: Wood floors and a big fluffy dog are not the best combo. Dust, dirt, hair, you name it - it’s on our floors. And we used to sweep them almost daily. Not anymore, friends!! Our iRobot Roomba is like our live-in maid (we like to refer to him as “Norman”), as Norman vacuums it all up quickly and efficiently - even when we’re not home! Why didn’t we get him sooner?! Zazzle: Being the thoughtful gifter that he is, Zazzle is Bobby’s favorite gift-giving site this time of year. You name it - he’s made it. Customized mugs, magnets, t-shirts, even snowglobes!! They’re quick, easy to work with, and bound to be a hit with the whole family. Pet Plate: We’re the couple that refers to our dog as our “first born”. We’re obsessed with her. (Can you blame us? She’s SO CUTE!) Because of said obsession, we try to feed her the healthiest and best food for dogs - that fits in our budget. Pet Plate is just that. Sally loves it, we love the ingredients, and they deliver it straight to our doorstep. Boom. Kurgo: We go on at least one roadtrip a month, and 99% of the time Sally comes too. Her safety in the car is really important to us, and we absolutely love Kurgo for just that. 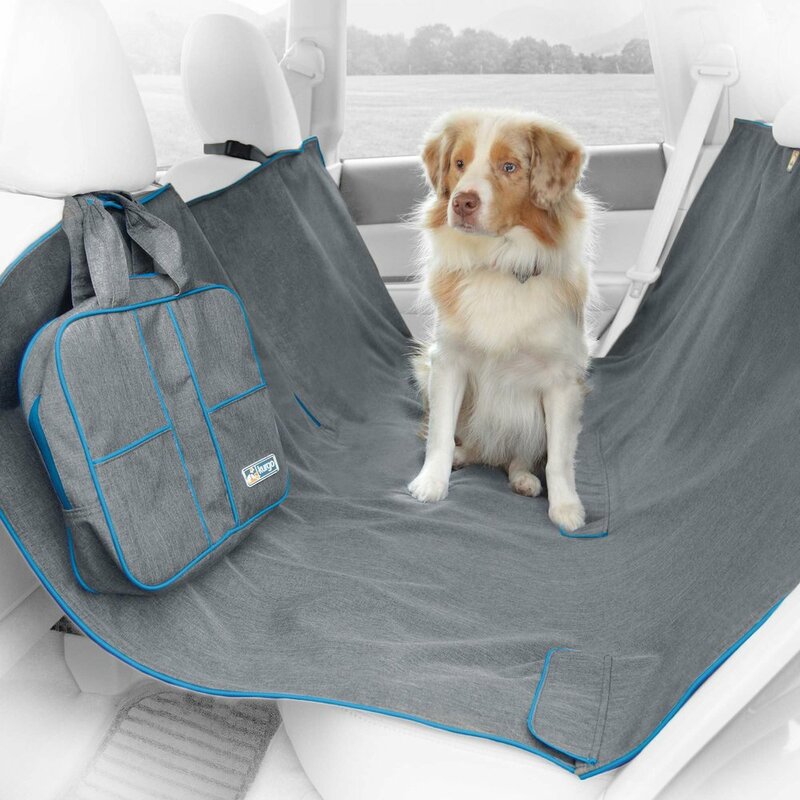 They make a variety of car accessories for keeping your four-legged friends safe on the road - from the Kurgo Dog Hammock to the Auto Zip Line﻿, Kurgo allows us to drive knowing that Sally is as safe! Kong Products (specifically the squeaky balls): We just had to throw these in because they’re Sally’s FAVORITE THING EVER. (Not ours - hence the fancy headphones we mentioned earlier.) She could chew and play with them until the cows come home (or until we take them away), and they’ll for sure be in her stocking this year. Yes our dog has a stocking. Doesn’t yours? !